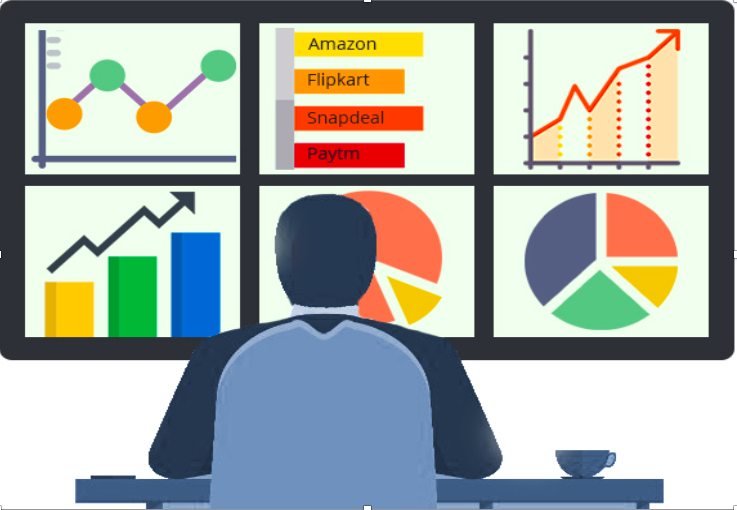 In today’s competitive market where salespeople are targeting different kinds of customers, selling different products, sales data analytics knowledge becomes an essential requirement for sales managers. With the help of the right data and the analysis, sales managers can identify the factors contributing to sales and identify the areas for future development and much more. Let’s look at what we believe are the best and most important analysis that can help you to grow your sales team performance. As a Sales Manager, it is important to understand the size and potential of your market. Many times, it is quite easy to jump to a conclusion about the market size. Understanding the demand is the most critical in order to succeed. Demand forecasting will help to estimate the quantity of the product required for a specific period. It is not just the historical data alone but many other factors will contribute to accurate forecasting. The data should be clean i.e., remove all the other factors that could have led to historical data. It the data is not clean then you may end with the wrong prediction. One of the most important factors for data analysis is to understand the trend on a regular basis. Every sales manager must know where the direction is heading on their product and markets and customer buying interest. It is a process to establish whether a market is growing, stagnant or in decline and how fast that is happening. It is important to look at the external factors such as new competitor entering, an improved product launched, is the demand cyclical, policy changes etc that may lead to the trend. It is very critical and vital to see competitor trend. Who are your competitors and how they are doing? It is not just about knowing the competitors, you can get a lot more information from business journals, newspapers, annual reports, product brochure, and marketing activity. One of the best methods is to put the competitors to google trend list so you get updates on a regular basis or if the competitor is publicly listed company, read their annual reports regularly and see the news items published to stock exchanges. There are many businesses that sell their products through various channels like direct selling, online selling, retail selling, OEM selling, channel selling. It is important to continuously assess which channel is working and not working and which is more profitable. Based on the market trends and you can also look at changing your channel strategy and sell your products. It is not just the volume of the overall sales that determines the strength of your business. It is important to look at the product mix. It is important to get the right product mix to get the business running and earn more profits. You can look for this data from various sources and various data points like primary, secondary, shelf life, and so on..
One more critical data point is to analysis the effort and activity that is generating this business. It is important to know all actions don’t give equal results. Hence it is very key for sales managers to ensure their field staff focuses on right actions which give maximum results. It is important to identify critical 2 to 3 data points that will drive the business and monitor the same. This requires tools, frameworks, and software such as sales force automation to analyze the data and derive actionable insights.